I love trips to the salon, but sometimes my busy lifestyle doesn’t allow for leisurely visits to get my hair professionally styled. On a normal day, I’ll typically blow dry my hair and occasionally run a straightening or curling iron through it. 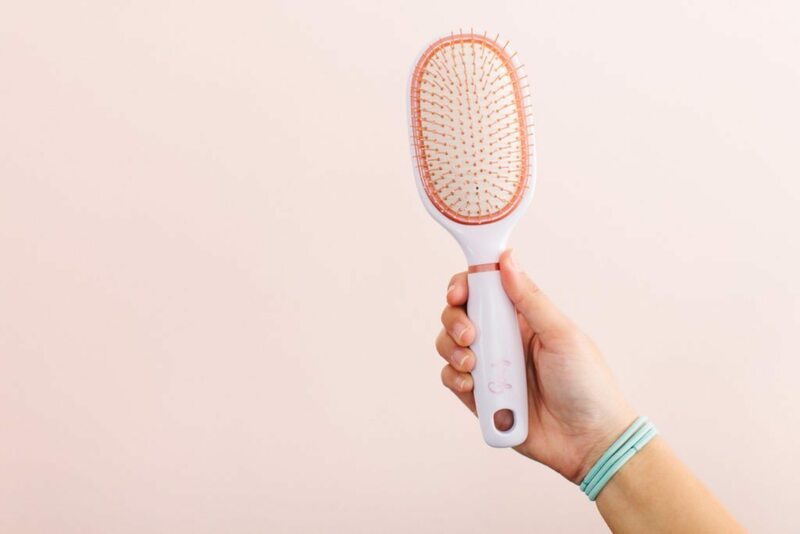 For more formal occasions that call for an updo (or when I’m having a not-so-great hair day), my favorite style is quick, easy, and requires only two products: a hairbrush (Goody Clean Radiance Oval Cushion Brush) and elastic bands (Goody Ouchless Elastics). Both of the featured products can be found at your local Target store. 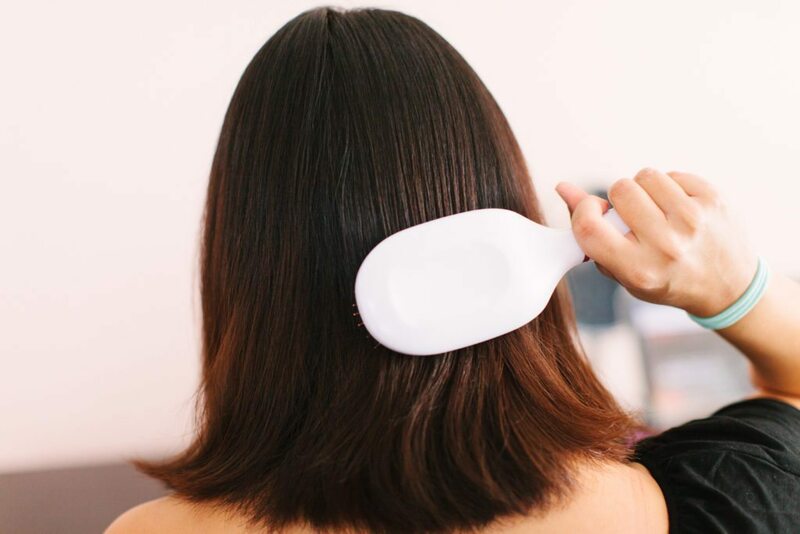 The Goody Clean Radiance Oval Cushion Brush has copper bristles that reduce natural buildup that is produced over time, leaving hair more healthy-looking and radiant. 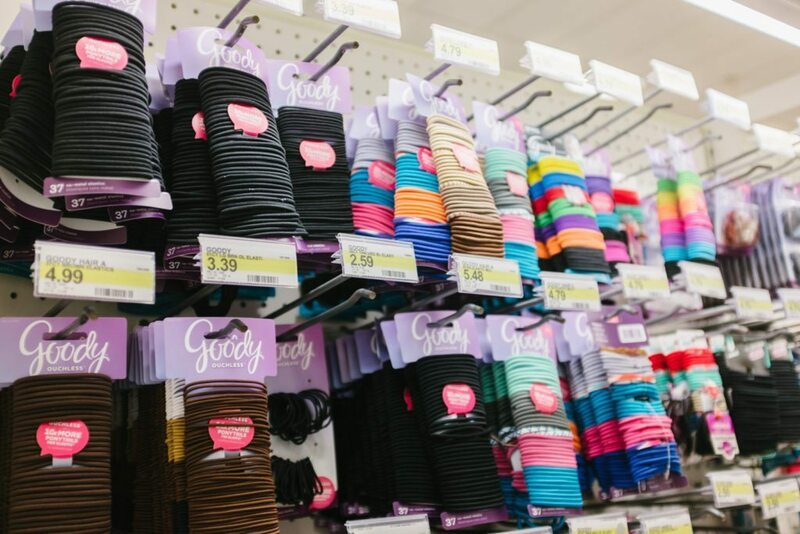 Goody’s Ouchless elastics are perfect for this updo because they are secure, comfortable, and won’t pull/snag your hair. 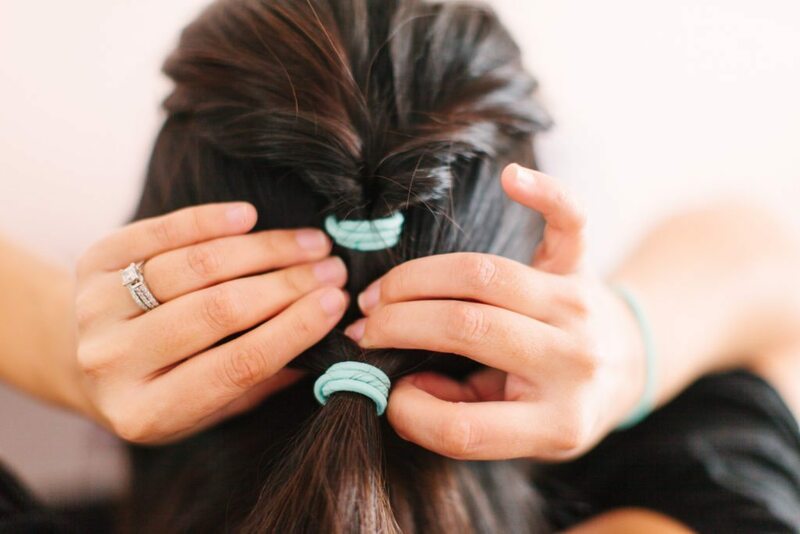 There is a rainbow of colors to choose from, and I selected the package with mint colored elastics for a fun spring look. 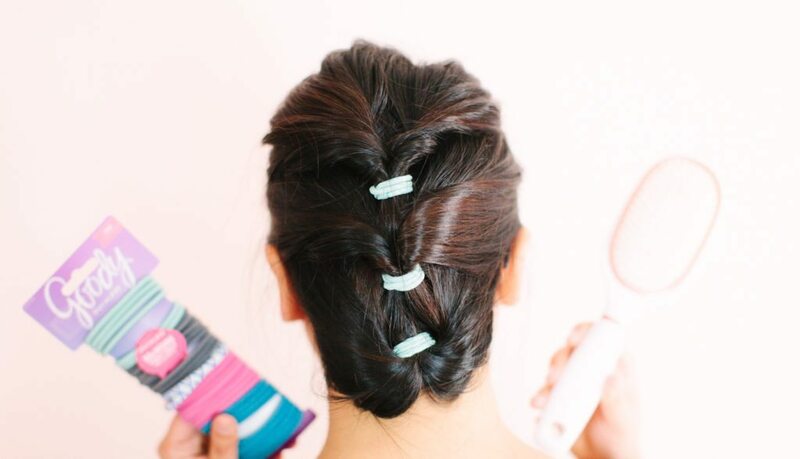 Step 1: Run a hairbrush through your dry hair to smooth and detangle any knots. 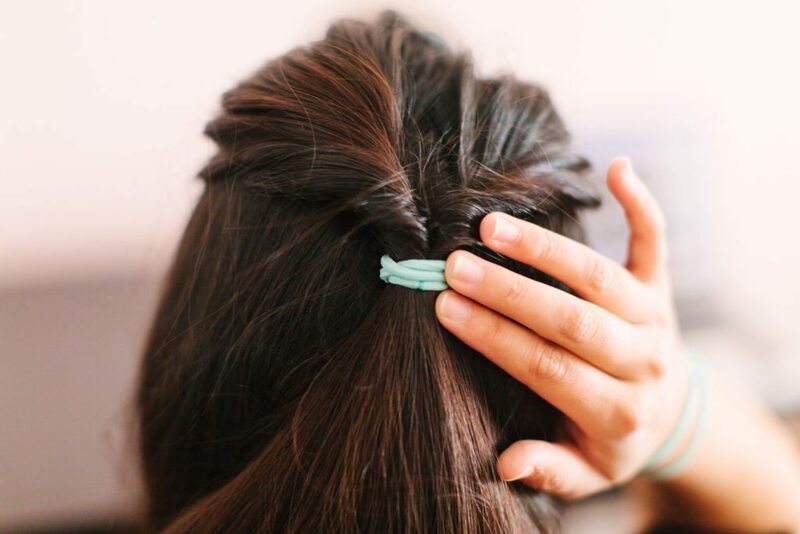 Step 2: Gather a section of hair at the crown of your head and secure in a ponytail with an elastic. 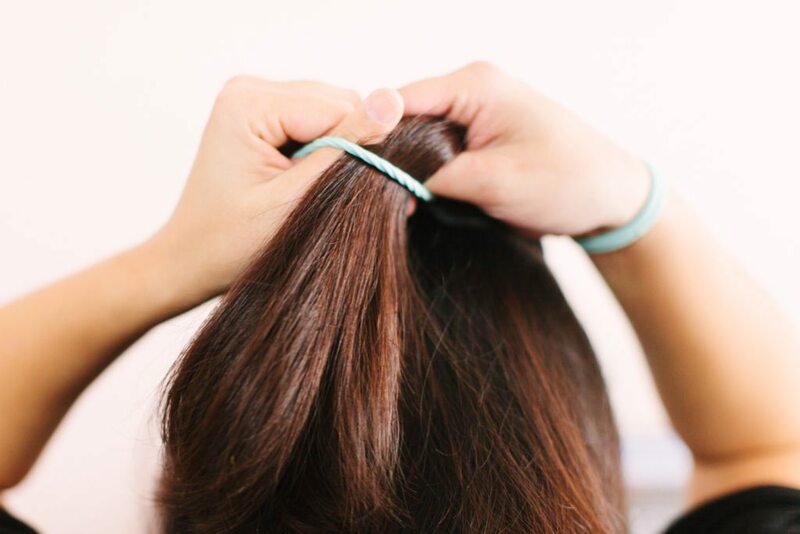 Step 3: Use your fingers to separate hair above the elastic into two halves. 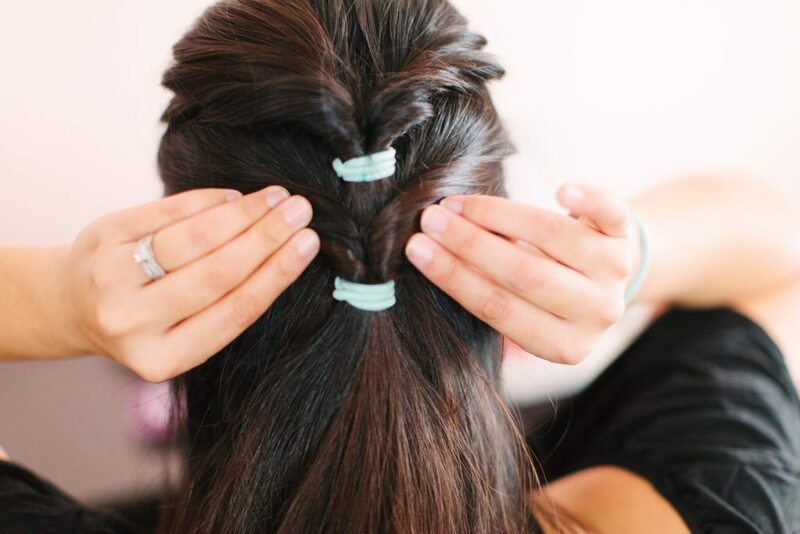 Step 4: Pull the bottom of the ponytail through the gap of hair created in the above step. Step 5: Pull the ponytail ends to tighten the twist. 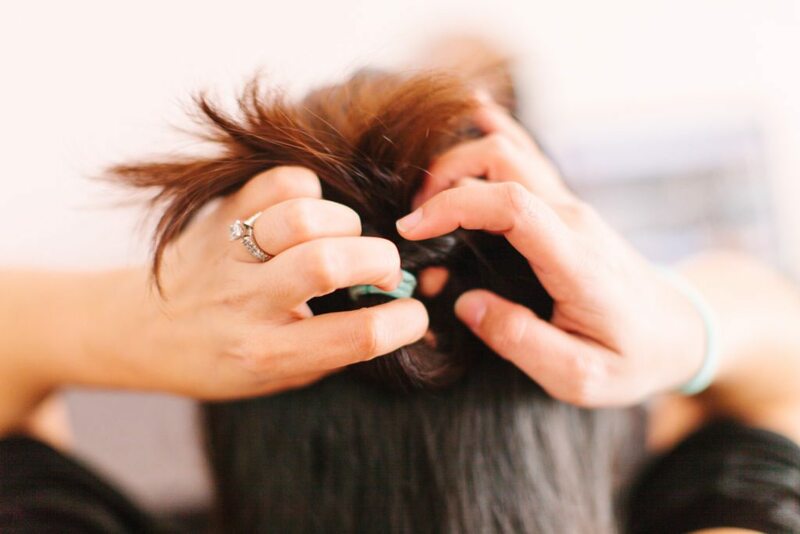 Step 6: Gather the next section of hair starting above your ears and repeat steps 3-5. Step 7: Create a ponytail at the nape of your neck with all your hair. 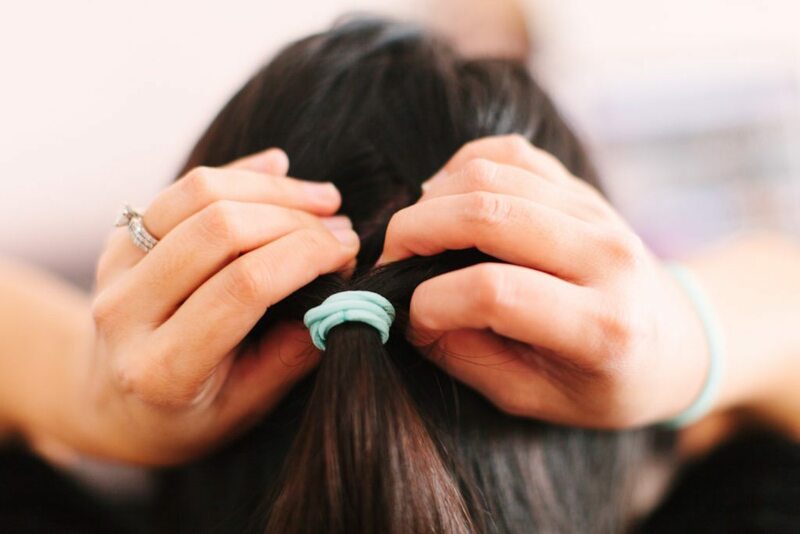 Step 8: One final time, repeat steps 3-5 and secure the lower ponytail tightly. 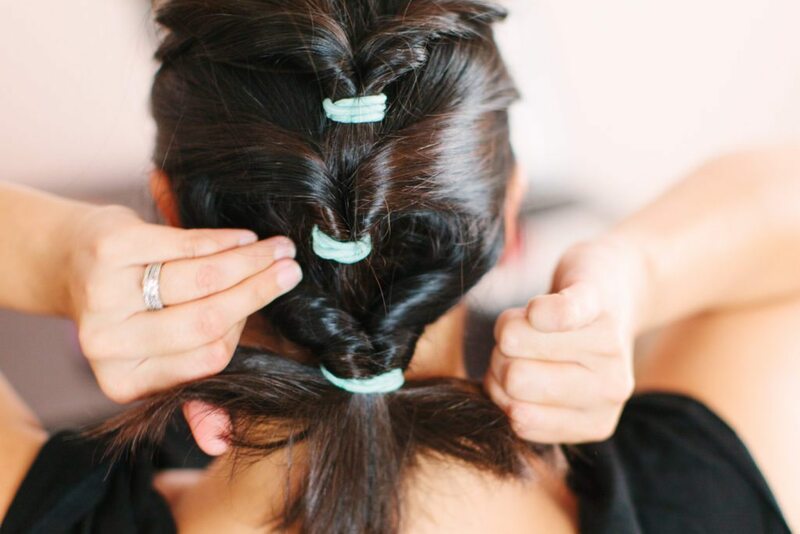 Step 9: Tuck any remaining hair underneath the updo. 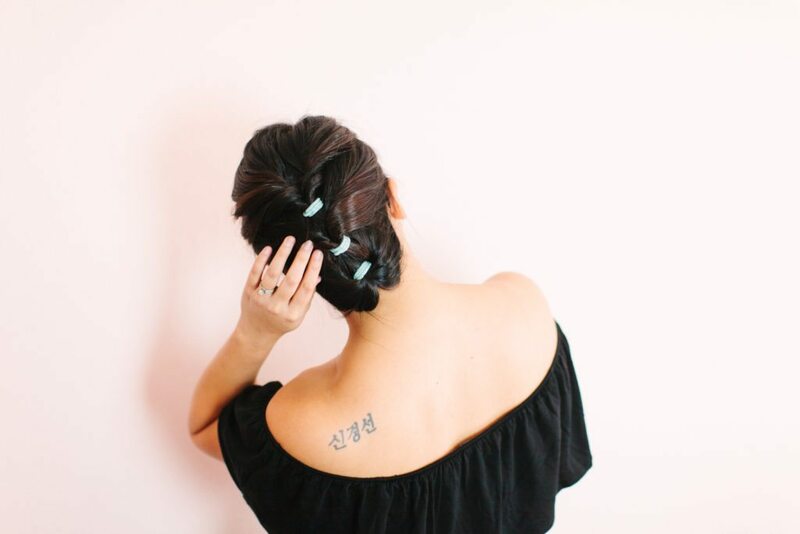 If you have longer hair, consider leaving the ends free or twisting it into a bun. Voilà! 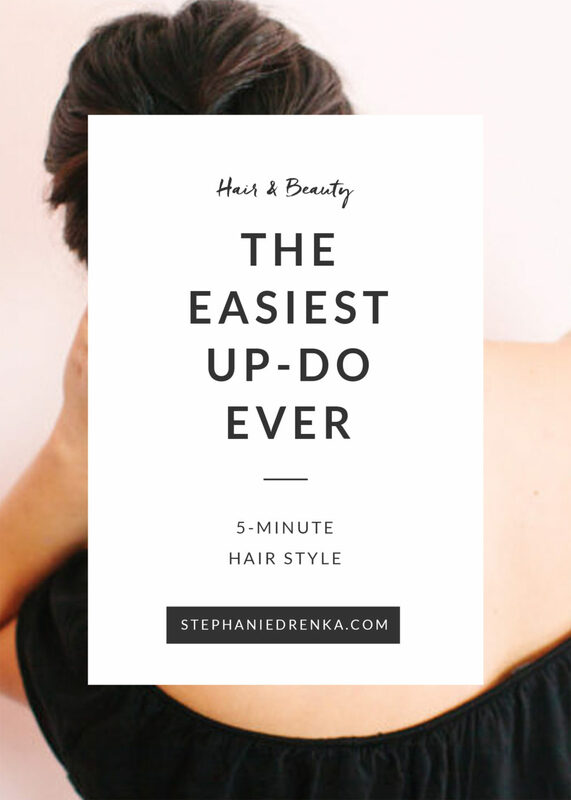 A simple, chic, and stylish updo with no fuss. Stop by your nearby Target to pick up a Goody Clean Radiance Oval Cushion Brush and Goody Ouchless Elastics so you can easily recreate this look! 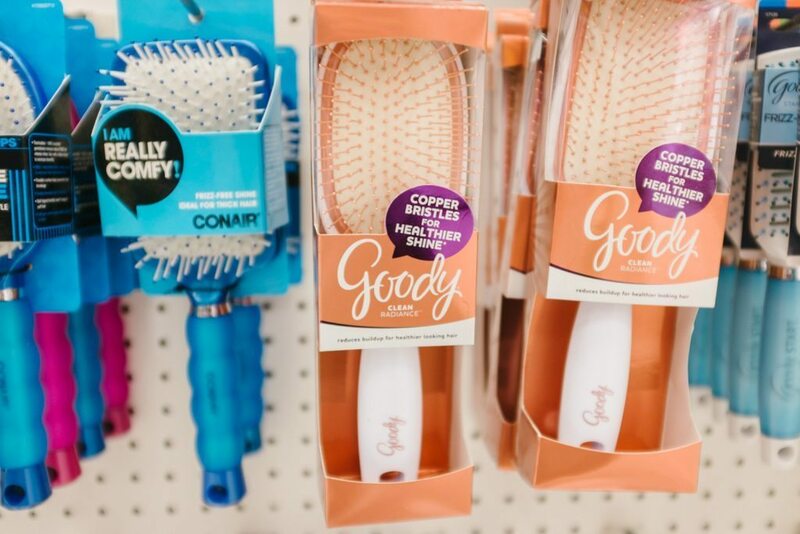 Save 20% off any Goody hairbrush between 3/13-19 using the Cartwheel app. Please keep checking the Target Cartwheel for more Goody Offers. Cheers to a great hair day! Haha– I need to use it a little more I think to notice results, but I’m liking it so far! Love this pink wall and you! The pink wall background never fails!! Yeah!! Maybe get smaller elastics and do half up? Agree with Brooke! This pink wall is everything! And I’m going to need to try that hairstyle!! Thank you!! Holden gave me a hard time when I wanted to paint the office this color… but so worth it!